IT'S CHRISTMAS EVE EVE! AHHHHH!!! I seriously can't wrap my head around the fact that Christmas is pretty much at my doorstep. With it being so near I thought I'd share an easy yummy dessert/snack recipe for those last minute "I need a dessert to bring but don't want to put in a lot of effort or spend tons of money or make anything to complicated but I still want it to be delicious"! When I think of the holidays I immediately think of chocolate and peppermint. It's such a classic Christmas combination. It's a little sweet, creamy, crunchy, minty, it's the best. 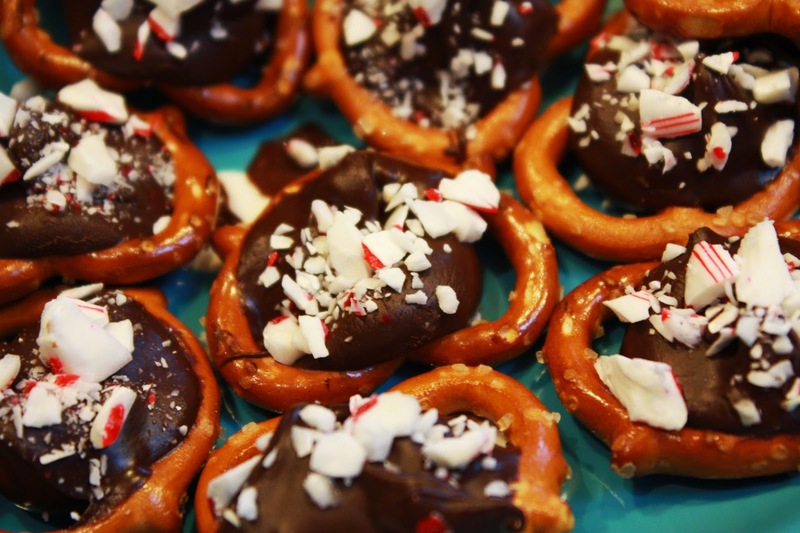 Throw in the saltiness of some pretzels and you've got a crowd pleasing dessert/snack! They're suuper easy to make and can be made in under 30 minutes! I'm actually making these for my Christmas get together, that is if I don't eat them all before they get there! ;) So let's jump in making these sweet and salty treats! There are so many variations to this that you can do whatever your heart desires! 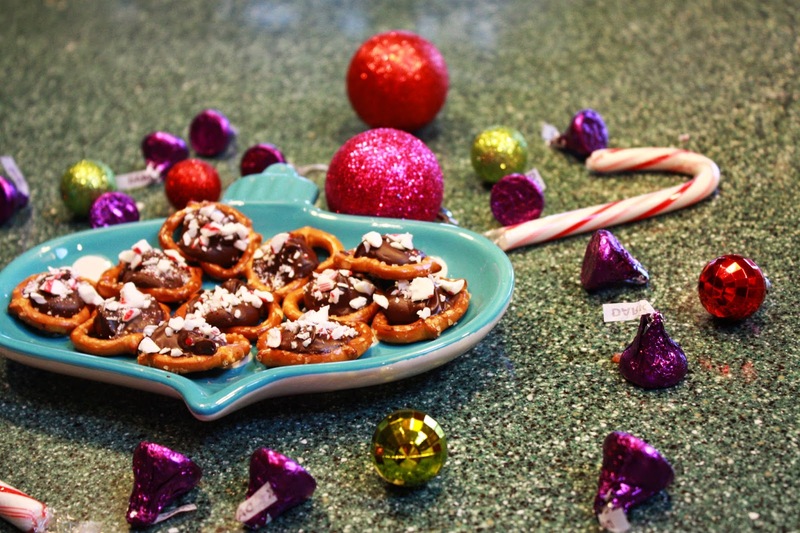 I used dark chocolate Kisses but you could use milk, white, peppermint, striped or even Rolos! Not a fan of peppermint? No worries! You can top them off with M&Ms, nuts, sprinkles or any other Christmas confection decoration. The possibilities are endless! 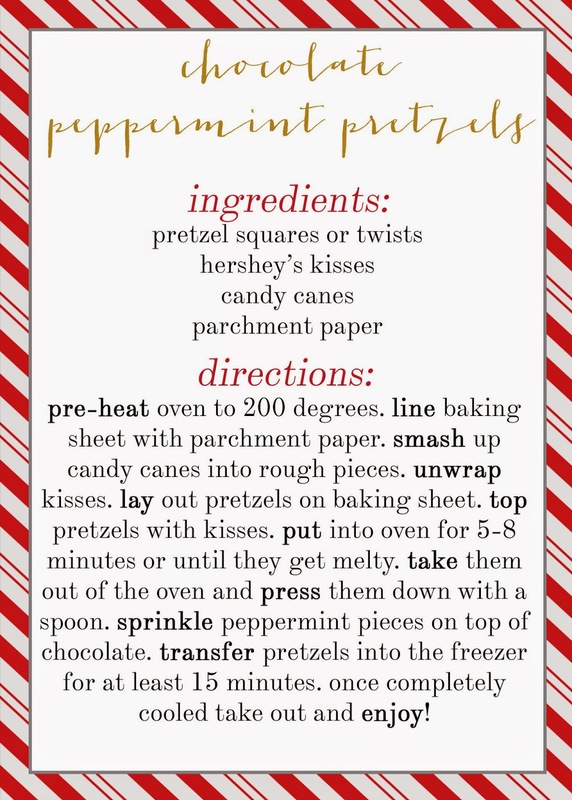 I would say definitely use parchment paper or your chocolate is going to stick to your baking sheet and be a nightmare to get unstuck. Also, put them into the freezer for no less than 15 minutes. The next time I make these I'm going to put them in for longer so they can really harden up. I only made a dozen of these bad boys but feel free to make as many as you want! They're so easy and take no time at all and are as delicious as the look! Here's the recipe in a fun print-out! I'm obsessed with these. 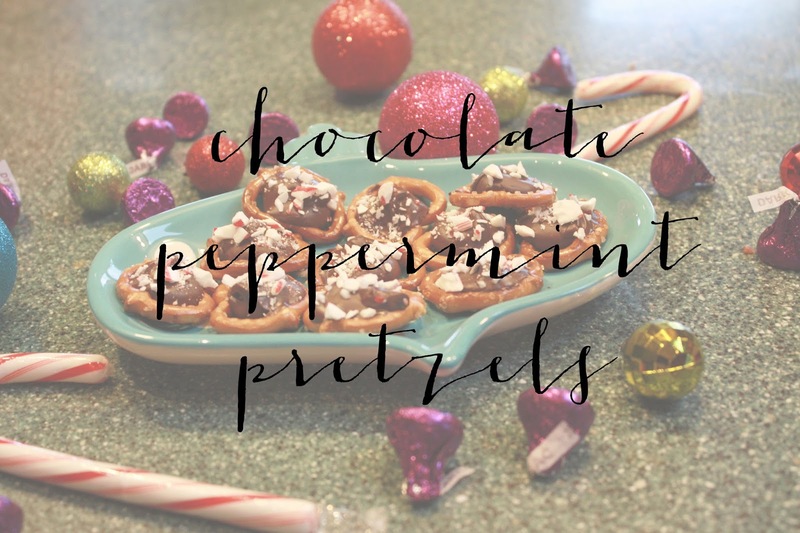 They're crunchy and chocolatey and pepperminty and sweet and salty and everything perfect that's in a Christmastime treat! 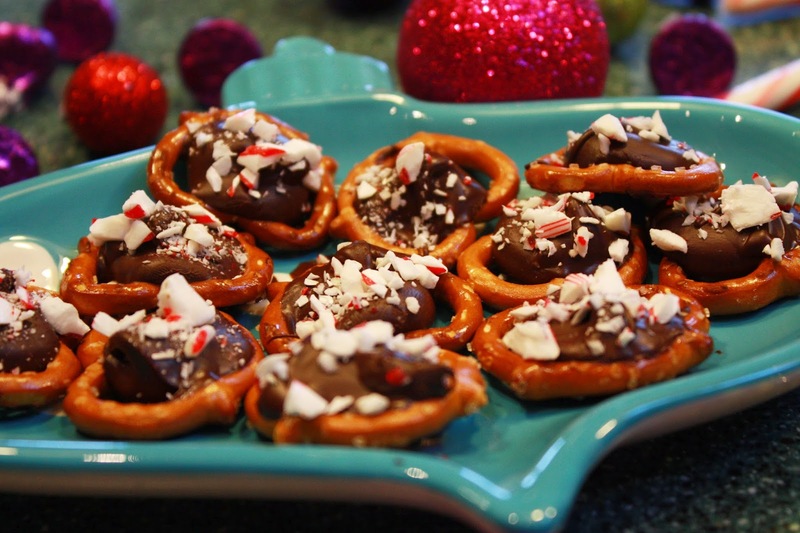 What's your favorite Christmas snack/treat/goodie to make? Leave me a comment letting me know! 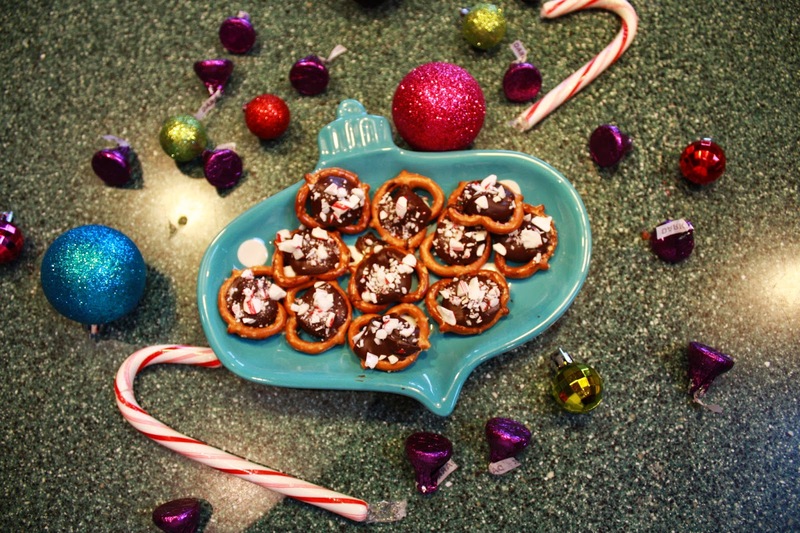 "we elves try to stick to the four main food groups: candy, candy canes, candy corn and syrup"